Review taken from my blog, The Haunting of Orchid Forsythia. Enlightened is a really, and I mean really, quick read. After one hour of reading I was half-way through the book, which was nice because some of my most recent reads took a while to get going/into. What made this such an interesting read for me was the superhuman power aspect, and that Alexis had to struggle to control her abilities. Although I'm a bit torn on how I feel about Alexi’s explosive personality and that when she would get angry (like Hulk angry) that she'd lose control of her power and end up having to smash or flat out destroy something... or someone. One of the things that made Alexis such an interesting character was that in the beginning she felt herself to be nothing more than a monster that should be kept far from Normals. The reason I mention this is because it was nice to see her finally begin to realize that she's not evil, and that she can control her power. 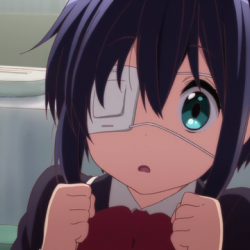 At times I liked Alexis' and at others I just wanted to bop her upside the head because she was being rather dense. As for why I wanted to smack her a few times, well, let's just say that at points she was very self-centered and she even knew it, but was too absorbed in her own misery to change. Even though she was self absorbed, it wasn't due to not caring about others it was just that she didn't want to lose control and end up harming someone, so I guess you could say she wasn't too bad. While I liked Alexis', my favorite character would have to be Andy. I liked him way more than Taylor, even if he was a bit annoying when he was first introduced. The one thing that I liked the most about Enlightened was that the story was pretty fluid in the telling, and the writing of Ms. Richards was definitely one of the reasons I enjoyed this book so much. I'm looking forward to reading more by her and seeing where Alexis' story will lead next. My only problem with Enlightened was that it took nearly the entire book, till like page 240, to finally start to get some answers concerning Alexis' abilities and to even begin to touch off on the mystery that is hinted at in the beginning of the book. While that was a mite frustrating, I did enjoy when things started to become a little clearer and wasn't too miffed about the lack of reveal by the time I finished reading Enlightened. That being said, I'm quite interested to see where the story will go and what will be revealed in the next installment because there were a few things left unfinished at the end of Enlightened. 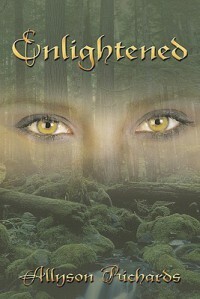 Final Verdict: Enlightened will definitely delight those looking for a quick paced read, with lots of character growth. Enlightened earns 4 out of 5 pineapples.